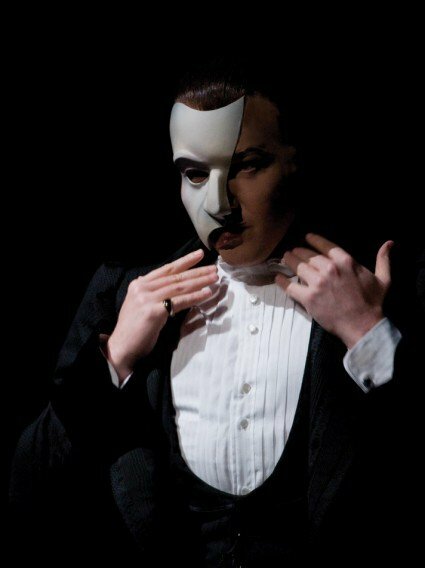 From Monday 7 September 2015, there will be major cast changes in the Andrew Lloyd Webber musical “THE PHANTOM OF THE OPERA” at Her Majesty’s Theatre in the West End. They are joined by Celinde Schoenmaker as ‘Christine Daaé’; Nadim Naaman as ‘Raoul’, Michael Matus as ‘Monsieur Firmin’ and Christopher Dickins as ‘Monsieur André’. Christopher Dickins’ West End credits include “War Horse”; “Blood Brothers”; “The Sound of Music”; “The Far Pavilions” and “Salad Days”. Other theatre credits include “The Threepenny Opera” (National Theatre), “The Secret Garden” (Birmingham Rep) and “Mary Poppins” on tour. THE PHANTOM OF THE OPERA has won 70 major theatre awards, including seven Tony’s on Broadway and three Olivier Awards in the West End. It won the ‘Most Popular Musical Audience Award’, voted by the public, in the 2002 Laurence Olivier Awards. THE PHANTOM OF THE OPERA, which opened at Her Majesty’s Theatre on 9 October 1986 starred Michael Crawford as ‘The Phantom’ and Sarah Brightman as ‘Christine.’ It is produced by Cameron Mackintosh and The Really Useful Theatre Company Limited. It is estimated that THE PHANTOM OF THE OPERA has been seen by more than 140 million people worldwide and the total gross is now in excess of $6 billion. The box office revenues are higher than any film or stage play in history, including “Titanic”, “ET” and “Star Wars”. It has been seen in 34 countries and 157 cities and played in 14 different languages. THE PHANTOM OF THE OPERA is currently showing in London, New York, Hamburg, Budapest, Prague and on tour in the US. THE PHANTOM OF THE OPERA will open in Helsinki and Guangzhou in September.